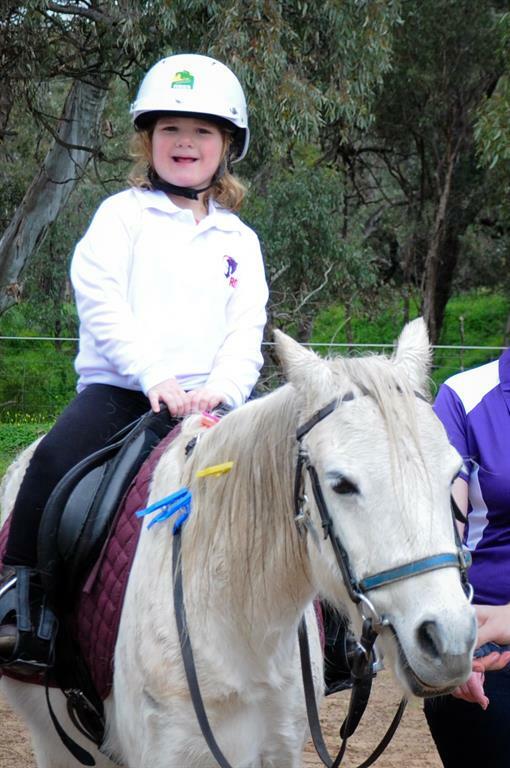 Mia Perrie - Riding for the Disabled Association of Australia Ltd.
"Riding has done wonders for Mia's balance and confidence, she sits up so lovely and waves to her parents like the queen"
Mia's journey with RDA started 8 years ago when she was 3 years old. She had just been given her diagnosis of Angelman Syndrome after 3 long years of searching for an answer. most children have a small head (microcephaly). 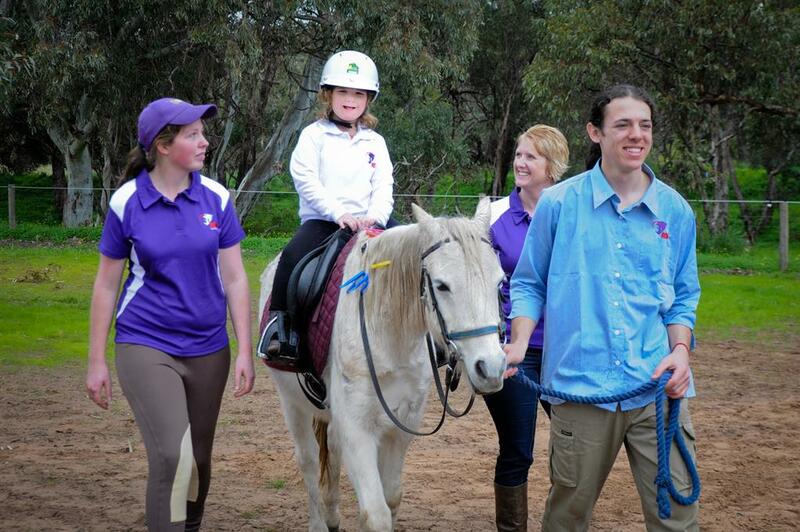 Mia's mother, Peta did much research about different therapies that could help her little girl and heard about hippotherapy and came across the RDA Centre in Victor Harbor. Her parents were a little hesitant about her age but still keen. John, Sue and all of the other volunt3eers at the Centre were very welcoming and much to everyone's surprises, she was on the horse within a week. Mia still has separation issues every lesson, but we push on. Now she is walking, trotting and playing the games happily with volunteers. Riding has done wonders for Mia's balance and confidence, she sits up so lovely and waves to her parents like the queen. She's very proud of the competition ribbons she's collected over the years. Mia's parents are full of praise for the wonderful work of RDA and for giving Mia the opportunity.